Elgin City have signed former Rangers full back Ryan Sinnamon until the end of the season. Former Scotland under-19 international Sinnamon has featured as a trialist in City’s last two matches, making his first appearance in last weekend’s 3-0 loss at Edinburgh City. 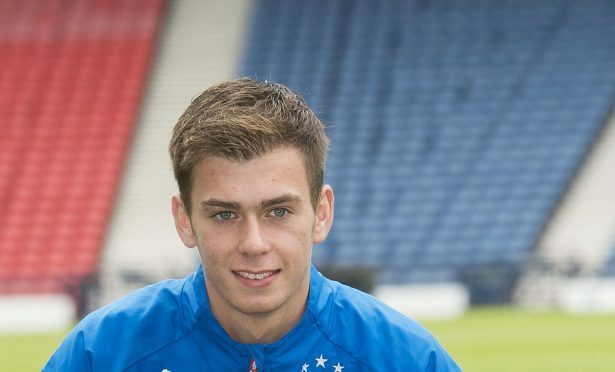 The 20-year-old, who left the Ibrox club in January, is expected to play in this afternoon’s League 2 match against Berwick Rangers at Borough Briggs, with fellow right back Matthew Cooper sidelined with a hamstring injury. Weir is demanding a reaction from his players in the bid to consolidate a play-off position and he added: “I didn’t mince my words after Saturday. I felt it was needed as it wasn’t good enough given the position we’re in. “The disappointing thing is that if we’d done better in our last six games we could have been in with a championship push. City will also be without leading scorer Shane Sutherland, who is out for the rest of the season with a torn cruciate ligament, while teenager Robbie Bruce is representing the Scottish schoolboys under-18 squad at the home nations tournament.